New York City’s many bridges are frequently praised for their beauty. But The Ed Koch Queensboro Bridge (yep, the former mayor’s name was officially added in 2011) might be the most lovely. The cantilever span itself is graceful and elegant, of course. But what sets the Queensboro apart might be the smaller design motifs and decoration the bridge architects insisted on before it officially opened in 1909. 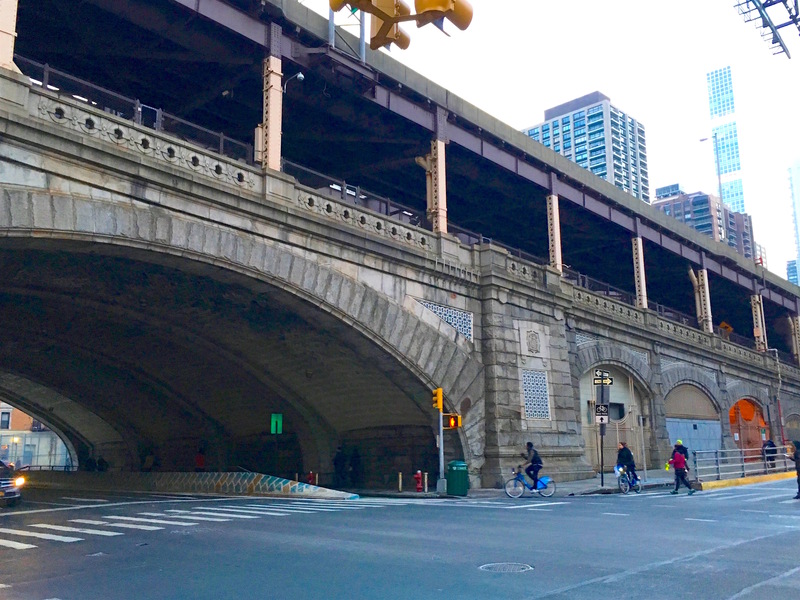 Among these are the decorative lampposts at the entrance to the bridge, and vaulted, Cathedral-like ceilings lined with famous Guastavino tiles under the Manhattan-side bridge approach, the commercial space known as Bridgemarket. 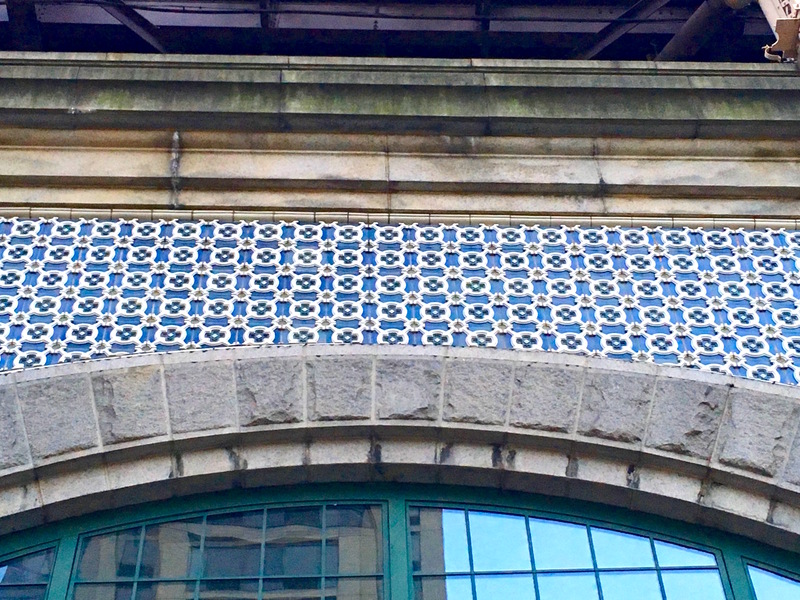 Then there are the blue and white tiles built in to the facade under the bridge approach on First Avenue. They could be terra cotta; I’m not quite sure. 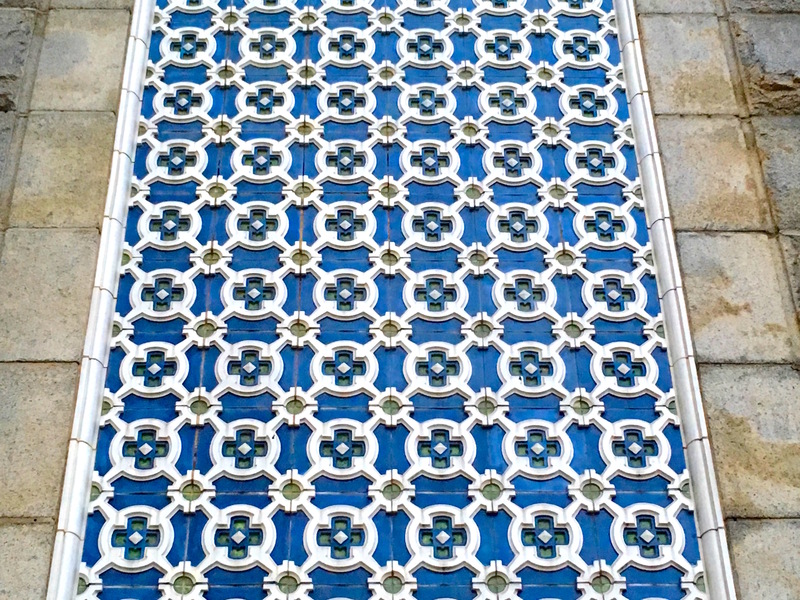 The circles and rectangles on each individual tile weave a spectacular pattern covering large swaths of the bridge approach. But if you don’t look for them as you walk under the approach, you might miss out on this wonderful decorative touch that appears to exist entirely to charm pedestrians. This entry was posted on February 4, 2019 at 7:09 am and is filed under Beekman/Turtle Bay, Music, art, theater, Queens. You can follow any responses to this entry through the RSS 2.0 feed. You can leave a response, or trackback from your own site. Lovely detail. Thanks for pointing this and many others around the Big Apple. A very attractive bridge indeed! I never heard of it referred to as the Queensboro Bridge while growing up in NYC in the 50s and 60s. 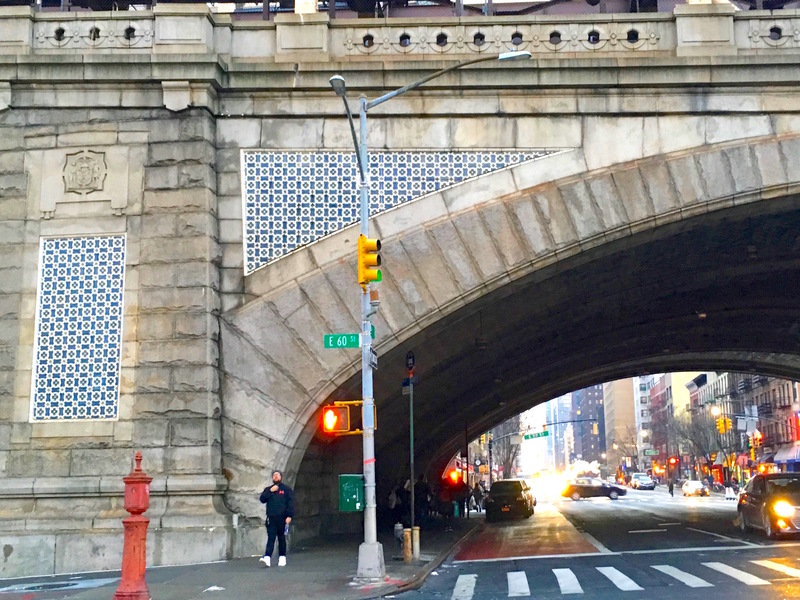 Everyone (including Simon & Garfunkel) called it the 59th Street Bridge. I have to see these…I walked across the bridge and back during the 1980 Transit strike, when it was re-opened to pedestrians. I turn to do just that, and there he is…walking towards me, with a big grin on his face. He had used the same idea to deliver some advertisements he’d dreamed up to a client in Sunnyside. So we went to the client and then walked home over the bridge.